This is why they play 162 games in major-league baseball, so you don't drive yourself nuts for too long playing the "woulda, coulda, shoulda" mind-bender. "It's hard to get too upset," veteran infielder Craig Counsell said Monday, reflecting on the Milwaukee Brewers' day-long frustrations in their season opener against Colorado at Miller Park. Since Jim Tracy took over as manager of the Colorado Rockies early last season, he has been giving pitcher Ubaldo Jimenez the same advice every time he steps to the mound. Throw that 98-mph fastball early and often. 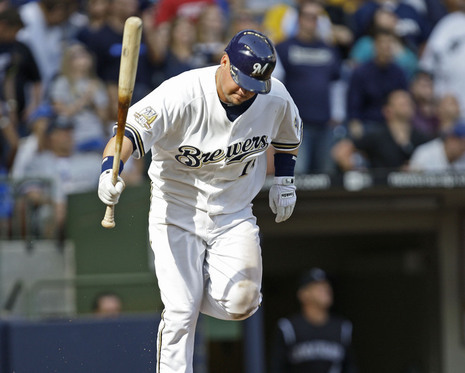 Jimenez was listening Monday at Miller Park, as he threw darts at Milwaukee Brewers batters for six innings in helping his team defeat the Brewers, 5-3. Tracy wants Jimenez to get ahead in the count and save his special pitches for later in the game. The threat was prevalent last season. It happened on occasion, but in such minor doses it hardly forced anyone to raise an eyebrow. This season, the first shot was fired before the first pitch was thrown. 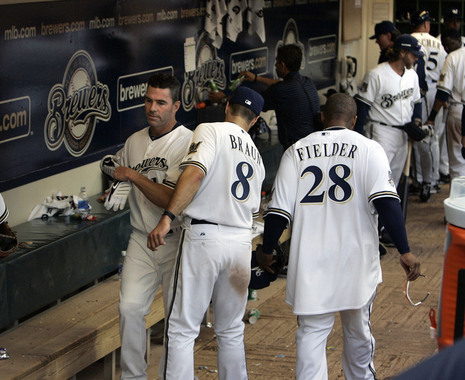 "You guys have been around me for a year," Milwaukee Brewers manager Ken Macha said. "Guys that are out there producing are going to get to play. And it's going to be no different than it was last year." Bring back the sleet. Close the roof. Fire the singer. Who needs July weather in April or the owner's previously undefeated father doing the anthem? Next year for opening day, it's parkas for tailgating and Cheap Trick. Hey, there are only 161 to go. Let the overreacting begin. Call it the poorest-kept secret in the game because everyone around it knows. 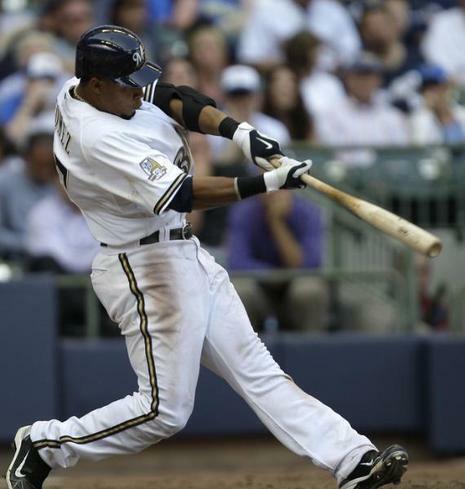 Fans, opponents, coaches, teammates and Carlos Gomez himself are aware. If he can get on base, the Milwaukee Brewers offense should flourish.